The rugged terrain of Mercury’s north pole is made clear in this image from MESSENGER, taken on June 17, 2011. The shallow angle of sunlight striking the surface of our solar system’s innermost planet sends shadows across its landscape and highlights every rise and ridge. This scene shows an area about 74 miles across. MESSENGER launched from Cape Canaveral Air Force Station, Fla., on August 3, 2004. 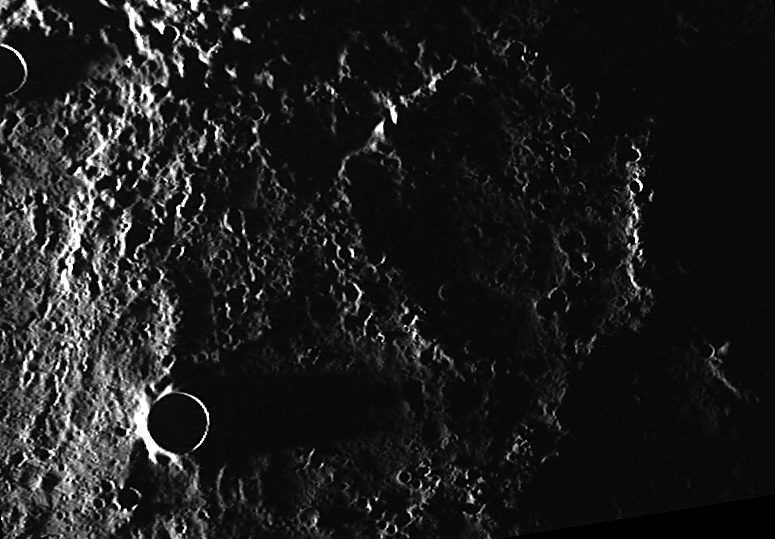 It established orbit around Mercury on March 18, 2011, the first spacecraft ever to do so.